Michel du Cille, a photographer and former photo editor with The Washington Post. Three time Pulitzer Prize winner, du Cille died Thursday Dec. 11, 2014 while on assignment chronicling Ebola patients and their caretakers for the Post in Liberia. He was 58. 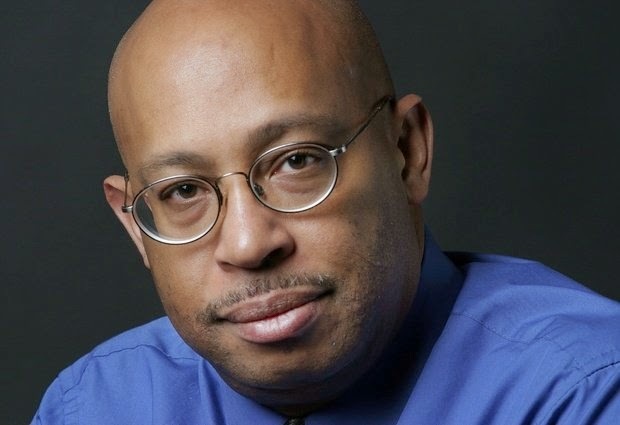 WASHINGTON (AP) — Photojournalist Michel du Cille, a three-time Pulitzer Prize winner who recently captured compelling images of Ebola patients and their caretakers, died in Liberia while on assignment for The Washington Post. He was 58. Executive Editor Martin Baron sent a statement to the newspaper staff informing them of du Cille's death. Baron called du Cille "a beloved colleague and one of the world's most accomplished photographers." The Post (http://wapo.st/1vX29xD ) reported du Cille collapsed Thursday while returning on foot from a Liberian village where he'd been working on an assignment. He was taken over dirt roads to a hospital two hours away and was declared dead of an apparent heart attack. Du Cille won two Pulitzer Prizes as a photographer with the Miami Herald in the 1980s and shared a third in 2008 as a reporter with the Post — an investigative public service series on the treatment of veterans at Walter Reed Army Medical Center who were returning from Afghanistan and Iraq. He also spent several years as The Post's director of photography and an assistant managing editor. Among his assignments was coverage of civil wars in Liberia and Sierra Leone in the 1990s. He returned to West Africa this year to cover the Ebola outbreak, sometimes wearing heavy rubber gloves as he took the pictures of the patients. In October, Syracuse University pulled an invitation for du Cille to attend a fall workshop for its communications school after a student raised concerns that he'd recently been in West Africa covering the Ebola crisis. Du Cille insisted he had been symptom-free for the three weeks since his return and said he was "embarrassed and completely weirded out" by the university's decision. "The most disappointing thing is that the students at Syracuse have missed that moment to learn about the Ebola crisis, using someone who has been on the ground and seen it up close," he said. "But they chose to pander to hysteria." Born in 1956 in Kingston, Jamaica, du Cille moved with his family to the state of Georgia in the 1970s, where he began his career as a photographer at the Gainesville Times. He graduated from Indiana University in 1981 and received a master's degree in journalism from Ohio University in 1994. He is survived by his wife, Post photographer Nikki Kahn, and two children from a previous marriage. Arrangements were being made to bring his body to Monrovia, Liberia's capital, Information Minister Lewis Brown told The Associated Press on Friday.